Enjoying one’s garden may be difficult if your work is constantly coming undone. 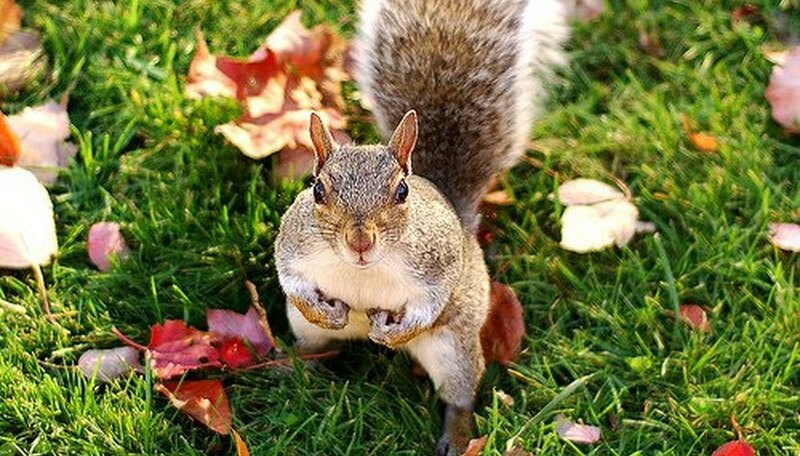 Squirrels can wreak havoc in gardens, but if you move as quickly as they do, your garden can remain intact and unharmed by these common gardening pests. Simply incorporate some natural methods to keep squirrels at bay and watch your garden grow. Squirrels may be fun to watch, just not in the garden. "Apply hot pepper spray in areas where bulbs are planted," says Jennie Addie, horticulturist and nursery manager of Green Thumb Nursery in Augusta, Ga. This helps to repel squirrels. If you find this method successful, be prepared to re-apply more spray following a rain. Feed the birds but get rid of the squirrels. Incorporate simple bird feeders--or more decorative baths if you like--in your yard or garden. Many bird seeds contain the same hot ingredient common to pepper sprays. “Gardeners can also spice up ordinary bird seed by adding cayenne pepper,” Addie says. Squirrels find the hot pepper offensive, but it does not harm birds. Put small pieces of mesh around bulbs or plants. Place mesh flat on the ground and cover with a layer of mulch or soil. “This prevents squirrels from digging up bulbs or plants already in the ground,” Addie says. Apply this same method to plants housed in containers throughout your garden. Cut a piece of mesh to fit over the soil in the container after planting seeds or bulbs. Let Fido do his job. Dogs have a penchant for chasing squirrels, providing a convenient, harmless way of ridding them from your garden or plants. Labrador retrievers are especially known for exhibiting this skill. Just be sure your dog has passed his own fascination with digging. Jennie Addie, horticulturist and nursery manager of Green Thumb Nursery in Augusta, Ga.